According to a letter obtained by Bloomberg, LightSquared has entered into an agreement to supply Sprint with LTE 4G service for 15 years. The letter, from Philip Falcone, who is one of the mobile broadband provider's major financial backers, was written to other investors in the company and says that, "LightSquared and Sprint will jointly develop, deploy and operate LightSquared’s 4G LTE network. Sprint will become a significant customer of LightSquared's 4G LTE network." The deal is said to be valued at $20 billion and the two firms will share network expansion and equipment costs. This is not a total surprise as just the other day we told you that this deal was being talked about by both firms. As we reported, LightSquared has been under fire for the interference that its LTE towers have been creating with GPS signals. A report is due at the FCC on July 1st about steps being taken to eliminate this problem. Other government agencies like the DoD and the FAA have stated LightSquared's technology will not work. The pressure is on for Falcone whose Harbinger Capital Partners hedge fund has invested more than 60% of its capital in the project. For Sprint, this deal gives them extra capacity to lessen the load on its network. According to Sprint CEO Dan Hesse, his company has been negotiating a similar deal with Clearwire, the company that currently provides 4G connectivity for the nation's third largest carrier. It is estimated that this deal could save Sprint a total of $240 million. Chris Larsen, a Piper Jaffray & Co. analyst, says that before Sprint can take advantage of the extra network capacity offered by LightSquared, the latter will have to resolve its issues with the GPS interference. LightSquared also said that it will seek bids as soon as next week to sell service from its satellite to government agencies and other buyers. The satellite service would act as a back up to terrestrial based pipelines in case of emergencies that would prevent ground based networks from working. Bingo!! No more talk about WiMAX, Sprint is going LTE. I bet their LTE since it's coming after Verizon & AT&T will be EVEN more kickass. I am so proud of Sprint. I am telling you Sprint is making all the right moves. Sorry all you Sprint hates, Sprint has LTE! LMAO! This is indeed a good day in the world of Sprint! YES!!! Sprint was being neither smart nor efficient when they went against the world standard with it's selection of wimax. I may be wrong, but I think iden is still up and running also with no current news on a shutdown. That means Sprint will be struggling to keep four different networks running at once. LTE, WiMax, iDen and CDMA! That is not efficient at all. As for the current WiMax customers, I think you are right for the most part, Sprint will probably offer a little something off of a new LTE device. But they're not going to offer their latest and greatest for free. They will receive an offer for a free low end phone and maybe an additional $50 bucks or so off the higher end models. Because their phones will still work on 3G, so there is no real need to upgrade those with wimax devices. Sprint didn't plan this out at all, they are moving to LTE because they realize wimax was a huge mistake, that's it! I'm not sure why Verizon and ATT "paying out of pocket" is a bad thing. They will own their network and that is a good thing. There won't be a partner to split profits with or to hike up the price at the end of the contract. That 240 they will save is nothing when you compare it to the 5 Billion that Verizon invests in their network every year. Don't get me wrong, I think this is a great move by Sprint. I'm just saying that LTE should have been their first move. I'm pretty sure the only reason they're forced to go with LTE is because Clearwire dropped the ball with WiMax. There were other major companies that were on board with Clearwire and WiMax until Clearwire essentially dropped the ball on rolling out WiMax and taking forever to develop it. Here it is going into Q3 2011 and Verizon's LTE, which rolled out a year later than Clearwire began rolling out WiMax, and their network far exceeds the 4G coverage of Sprint and Clearwire. Meanwhile, Sprint has to wait for Clearwire to roll out WiMax in areas where Sprint may want to have coverage but can't because... well... On paper way back when WiMax and LTE were first being talked about, WiMax seemed like a great idea but ultimately the rollout of the service rested mostly on Clearwire's shoulders who have trouble even rolling out the service in major cities (Phoenix or San Diego, CA, a city of 2m+ people for ex.) on their own while small 100k population cities like Bakersfield, CA have coverage. (Really?) Maybe Sprint SHOULD take some time on this new 15yr deal to begin building up their own network for the next greatest technology (and get rid of iDen and use that Spectrum for voice & data already) so they won't have to rely on other companies that later fail and cause them to fail in the long run. @whateverman Dan Hesse said the WiMax boxes could be switched to LTE easily with mostly software udpates. This means that Sprint was prepared for the eventuallity enough to think ahead about converting, AND the infrastructure they built with WiMax is not only NOT WASTED, it cost less than LTE infrastructure. Hmm, save money? Check. Get the first 4G network established to attract customers when you need it most? Check. Plan ahead in case you need to switch to LTE? Check. Make a deal with a network that not only can provide LTE, but also Sat connectivity so that you could conceivably offer phones with 4G and Sat radios that no other network on earth can provide so thier subscribers will never be out of range again? CHECK! you didn't expect Dan hesse to actually come out and say, "Yeah, we know wimax is a huge gamble and will be really expensive to convert if we're wrong"! Of course he's gonna say its not expensive to convert! Even if building wimax was cheaper, by adding the LTE network now adds additional cost. Even if they convert the current base stations over, they have to now double everything else within those stations in order to sustain both networks. This isn't a simple software download like ATT and T Mobile did for HSPA+. And if they don't keep wimax, converting cutovers old devices over will cost them an arm and a leg, and Sprint will recoup that loss any way possible. So you can go ahead and "uncheck" that save money category. And are Sprint customers really looking for Sat phones? I don't think so. I don't think Sprint customers are looking at sat phones either. but as for the added cost of now building out LTE on top of Wimax, that is what this article is about: they aer saving .75B by partnering with LightSquared. Here is specific mention of "Network Visions" which talks about the cost savings and efficiency gained by running all three spectrums for iDen, CDMA and WiMax out of teh same base stations:http://www.phonearena.com/news/Sprint-announces-Ne twork-Vision---a-5-billion-project-to-overhaul-its -network_id15115 Here is mention of specific upgrade requirements to change Sprint WiMax equipment to LTE: a baseband card and a software upgrade. Easy and cheap!http://www.phonearena.com/news/Sprint-looking-into -an-LTE-future_id16895 Yes, Dan said they will honor contracts for WiMax devices, they wouldn't cut them loose; and you're right, he had to regardless of intent just to protect Sprint's image. @Whateverman Sprint may not have been perfectly efficient in doing this, but "efficient" and "smart" are two very different things here. Sprint gained many subscribers by becoming the "first" 4g network in the US. Some people may feel duped by this stunt, but its simple: people that bought WiMax devices got what they wanted-- which was 4g before anyone else got it. A switch to LTE does not mean that those devices will become nonfunctional immediately, and those who jumped in line to buy a new WiMax device will be the same people who are first in line to buy a new LTE device anyway. No money wasted, no time wasted, get over it. As far as inefficient, not so much either: Sprint's current WiMax towers need only a small adjustment to broadcast an LTE network. It is not necessary to build new towers in locations where WiMax Towers already exist, meaning Sprint WiMax cities can be Sprint LTE cities in an instant. No starting over. No waiting. 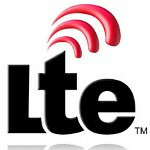 Sprint could theoretically have its first LTE device up and running by the end of 2011. Good job, Sprint. No harm, no foul in going with the best technology, no matter when you decide to do it. Sprint had an FCC timeline that was due to expire in making use of their spectrum holdings. WiMAX was ready. LTE was not. Sprint had no choice but to move forward with their timeline. It had nothing to do with a poor decision. It is also important to point out, that with 237 WiMAX markets around the globe already operational at the time, it was in hopes that WiMAX would gain world standard. IDEN is scheduled to be shut down by 2013. 2014 at the latest. Then they will make use of that 800MHz spectrum for CDMA. Currently, Sprint is in a very good position to switch from WiMAX to LTE. When their 4G infrastructure was being built, they took into consideration the possible switch to LTE. Their base stations have been fitted with the necessary LTE hardware to make a seemless transition. Software upgrades will allow almost overnight switching. The current handsets are the only drawback for quick transitions. However, Sprint has plans and is in talks for temporary handsets containing both WiMAX and LTE radio chipsets to help in the transition. John B. @SuperAndroid Evo You are pretty much right. The only thing is, Sprint doesn't need to replace its WiMax towers with LTE towers, the technologies are very similar, and WiMax towers only need a small adjustment to run LTE. Jeff, You browse these forms enough to know that Sprint didn't have a choice for WiMAX. The FCC's timeline for Sprint to utilize their spectrum holdings, was running out. They needed to move forward and WiMAX was ready. LTE was not yet a culmination amoung carriers. They also don't have to start over. Sprint considered that LTE may become the standard when they were building their infrastructure. So they added the necessary LTE hardware and equipment during the process. Very cool and very smart. I agree that trying to integrate Direct Connect and CDMA was a misfire, but I think the ATT and Verizon ads for PTT gave Sprint an excuse to keep some sort of relevance to a one handset does both. CDMA voice and Walkie Talkie. Once the hype died, so did the initiative. To be honest here, I also am very proud of the direction Sprint is heading. Sprint's CEO has done a remarkable job taking a sinking ship and revitalizing its significance in the wireless industry. One of the secrets to success in a work place, is being able to adapt to change in the workplace and marketable environment. I bring this up, because many people still have a perceived notion that Sprint is a horrible carrier. However, when looking at recent stats from the last year and a half, Sprint has graduated with some very respectable accomplishments. People need to realize this in order to view Sprint as it currently stands; not for what it used to be. With people ignoring these milestones, they possibly lose out on what could be the best carrier they have ever dealt with. John B. @ Slammer. I'm not what timeline you are referring to but I've tried to find some info and came up empty. If you have a link I really would like to read up on it. But most articles I have read referred to the move to WiMax as a gamble that didn't pay off. He also admits that the reason for the jump to wimax was so that Sprint could be the first company to offer 4G, no mention of a timeline. @ Biglebronski. I think all the tech savvy guys like your, Slammer and even myself, all had high hopes for Sprint and WiMax. But the average consumer has no idea what the terms WiMax or 4G mean. They were attracted to the $69.99 all you can eat data and texting. So they didn't need 4G right away. All the had to do was keep putting out those commercials on how Sprint has changed and how much cheaper it was than ATT and VZW, they would have still gotten all those customers. Also, cheaper is only cheaper if you don't have to go back to the first option. No matter how much cheaper WiMax was originally, the extra hardware and software needed to change those base stations now will bring that cost up. And think about this, if Wimax is working out so well, why even consider running LTE with it or converting everything over at all? My guess is Clearwire's financial problems scared the crap out of them. Here Sprint's entire 4G network is run by this whole other company that was sinking like a stone. What other chose does Sprint have? @ Corps1089. Yes, partnering with Lightsquared will provide an initial savings of .24B, not .75B. But wouldn't that put them in a similar situation they find themselves in with Clearwire's. Now they have two companies taking a slice of the pie! Hopefully history will not repeat itself, because Sprint may have to raise prices again to pay LightSquared. Notice how the $10 4G fee, became a $10 smartphone fee after Clearwire started having issues and demanded more money from Sprint. This could happen with LightSquared as well, and then what is Sprint to do? Do get me wrong guys, i'm not hating on Sprint. I used to think they were just horrible company that deserved to go belly up! But i think Dan Hesse really is making a difference, but I think LTE was the obvious chose from the start and in the end, the money they saved in the beginning will be lost. But at least they're moving forward. Hi whateverman, I have one of links here for you. It is very extensive. But line item 165 points out a time frame for use of the 2.5ghz spectrum in which Sprint puchased. They made the purchase around 2004. With a 6 year term to make use of the spectrum, it gave Sprint a time limit of no later than 2010 to meet obligations of reaching a percentage of American end users with some sort of service with their 2.5Ghz spectrum. LTE was not yet available for consumption in 2008 and 2009. WiMAX was already present in more than a couple hundred markets around the world. WiMAX was a gamble ever since LTE was in talks. Two different groups control these platforms. The 3PPG has been the main entity for wireless directives including GSM. With this kind of leverage, it was going to be difficult for WiMAX to meet what was planned for the future. Time to market was a bet that needed to be taken to hopefully overshadow the LTE initiative. The business models of both are different. So you can see where these types of fights always ensue for marketshare. So in some ways, Sprint did take a gamble, but it was a necessary gamble that really left them with little choice. John B.
WOW SuperAndroid nerd, go easy there, you might break a vessel. So, now please explain how dumping s**t loads of money into WiMax and being the first 4G and being obsolete in 12 months THEN jumping on the LTE bandwagon is making all the right decisions, can you explain that? The_Miz you look like you like to wear women’s underwear. Hey if it works for you I am very happy for you! lol I really hope you are "The_Miz" because to be rocking some else’s picture is pretty sad! LMAO! It's okay with me! He's cute! The FCC is on LightSqared's back to fix this problem. Don't worry I will get done. Sprint will address the frequency also. Sprint's LTE will work correctly, so I feel very confident.